VroomVroomVroom has put together a guide on booking a car rental from Redspot (now known as Enterprise) in Australia. Before booking a car hire, it is advisable to read some of the useful information below. Once you have done that, you can start searching and comparing rental cars from Redspot Australia by clicking on the search form above. You won't only be saving time, but also money since we guarantee the lowest price on rental cars. Redspot is a company that has grown from its humble beginnings in the suburbs of Sydney to a national car hire supplier. With a well maintained fleet that is regularly serviced, their rental cars are not more than 12 months old. One of the world's largest car rental companies, Enterprise Holdings, is now the franchise partner of Australia's largest family-owned car hire company, Redspot in the country. Boasting a fleet from economical cars to 8-seater People Movers, you will be driving in comfort. Being the 'underdog' of the Australian car hire industry, they have depots located in major airports, which means you can arrive and drive. This makes travelling more convenient! The company also offers priority services for Club Red members and options for relocation hire. VroomVroomVroom can help you find the best car rental deal through Redspot. 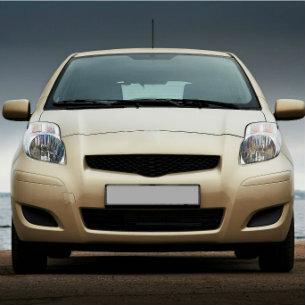 You can also save time by comparing current car hire rates and other vehicle specifications. Note that if you are a member of frequent flyer program, you can take advantage of Redspot's wide selection of vehicles. In addition, you can receive reward points for every dollar spent on time and kilometres. We also guarantee the lowest rates so if you see other comparison sites that offer a cheaper rate on the same deal, feel free to let us know so we can give you a refund plus $20! For more information, check out our Price Promise.